Dhanwantari – The Lord of medicines. It’s celebration time in many countries. Colorful carnivals are lining up offering great amount of joy and happiness. In many south Asian countries, the festivals are organized in commemoration to tradition, culture and of course to appease the god. There are few exclusive celebrations honored in token of expressing gratitude to the supreme power, god. One such exclusive celebration honored to the Lord of Medicine, Lord Dhanwantari is called Dhanwantari Jayanti. Lord Dhanwantari is believed as an incarnation of Lord Vishnu. He is the physician of gods. Although is often referred as Lord of medicines, he is the god of Ayurveda, the ancient medicine that emerged in the pre-historic periods. 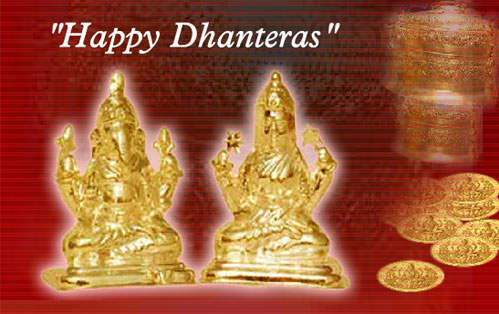 In Hinduism, Lord Dhanwantari is worshipped for optimal health and wellbeing. He is mentioned in Vedas, the ancient holy scripts and various mythological stories of Hinduism. According to legends, he created Ayurveda to help the mankind, heal all those health maladies naturally and effortlessly. Kartik Trayodashi is organized as Dhanwantari Jayanti, an honor paid to the Ayurvedic god. Dhanwantari Jayanti is a very special day in Nepal, the Hindu country. It is observed with great honor to Lord Dhanwantari as National Health Day in Nepal. There is no surprise, Nepal, the Hindu country celebrates and honors the Lord of medicine, the Lord of Ayurveda paying a great tribute. The reason behind observing the day as National Health Day is quite alluring. Ayurvedic medicine has its great significance in Nepal and considered a primary mode of medication. The country with its rich natural resources harnessed the power of Ayurveda. Equivalent to India, the home country to the origin of Ayurveda, Nepal has a longer history of practicing Ayurveda. It is a common belief that one who has the blessings of Lord Dhanwantari can shine as a great physician. So, physicians pay tribute and offer prayers and poojas to Lord Dhanwatari. Dhanwantari Jayanti aka National health day is celebrated by people of Nepal along with Ayurvedic practitioners. According to vedic texts, Lord Dhanwantari emerged directly from the Ocean of Milk with Nectar of Life, called Amrita. Lord Dhanwantari, who is believed as 17th incarnation of Lord Vishnu, according to legends, specially incarnated to offer health and wellness. He is the earliest practitioner of medicine in India and first surgeon of the world, who born to augment all the medical interventions attempted in the pre-historic period. Until Lord Dhanwantari’s birth, there was no presence of Ayurveda in India or in texts of Hinduism. He perfected the natural and herbal remedies and cures for various health ailments, which emerged as Ayurveda. One of the precious discoveries of Lord Dhanwantari is Turmeric. He was the one who discovered the exemplary medicinal benefits of Turmeric. Turmeric is used in almost every food to kill the toxic effect of the foods and known for its antiseptic properties. Similarly, another ingredient he used is Salt. He almost incorporated salt in curing many ailments. He is not just a medical practitioner, but also a great surgeon. With no hi-tech medical equipments, he performed many advanced surgical procedures in the pre-historic periods. For instance, plastic surgery. All his surgical procedures reshaped now with a technological flavor. Also, according to the ancient texts and manuscripts, he shared his knowledge on surgery with his follower, Sushruta, an Ayurvedic practitioner and a sage, who is still regarded with the title, Father of Surgery. He created manuscripts, the ancient medical and surgical manuals detailing all the procedures. Ayurveda is one of the priceless gifts provided to the mankind provided by the god. In spite of innovations in the modern world of medicine, there remains a big block! Yes, many lifestyle disorders and degenerative diseases associated with poor immune system remains untreatable by modern medicines. Here comes the role played by Ayurveda. Just with a few Ayurvedic herbs and modifications in the food habits, Ayurveda regained its significance in treating a majority of diseases and disorders. IN fact it can be called cure, rather treatment. Physical, psychological and emotional ailments are cured effortlessly to perfection.